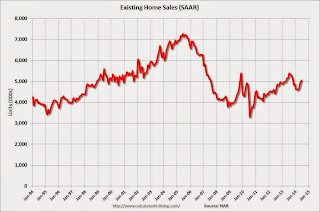 Total housing inventory at the end of June rose 2.2 percent to 2.30 million existing homes available for sale, which represents a 5.5-month supply at the current sales pace, unchanged from May. 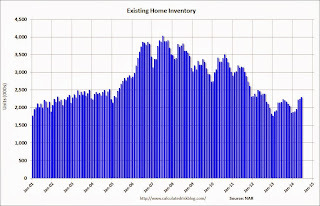 Unsold inventory is 6.5 percent higher than a year ago, when there were 2.16 million existing homes available for sale. 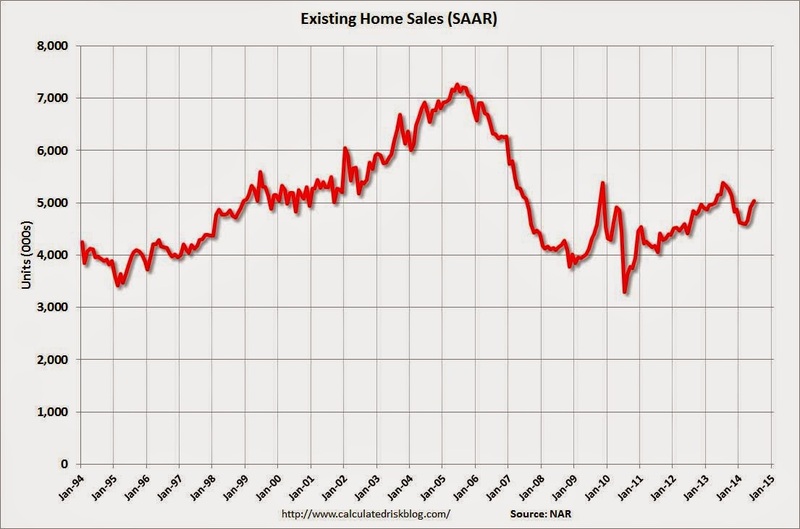 Sales in June (5.04 million SAAR) were 2.6% higher than last month, but were 2.3% below the June 2013 rate. According to the NAR, inventory increased to 2.30 million in June from 2.25 million in May. Headline inventory is not seasonally adjusted, and inventory usually increases from the seasonal lows in December and January, and peaks in mid-to-late summer. 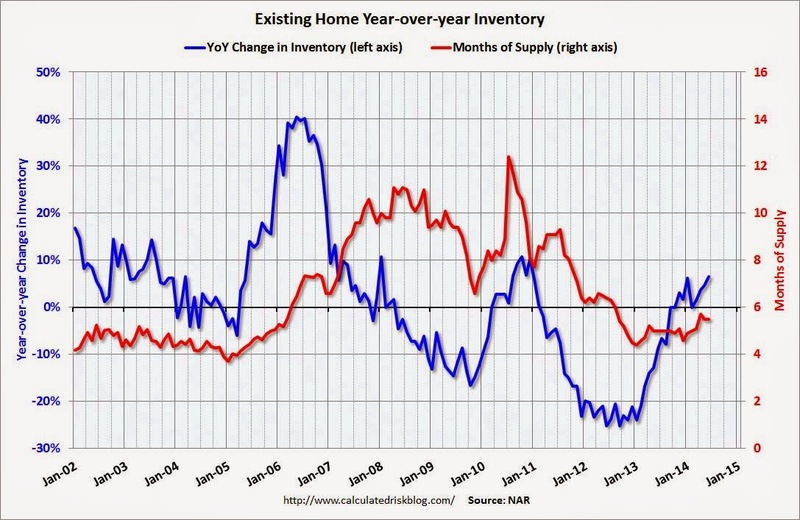 Inventory increased 6.5% year-over-year in June compared to June 2013. 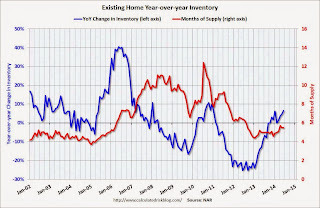 Months of supply was at 5.5 months in June.